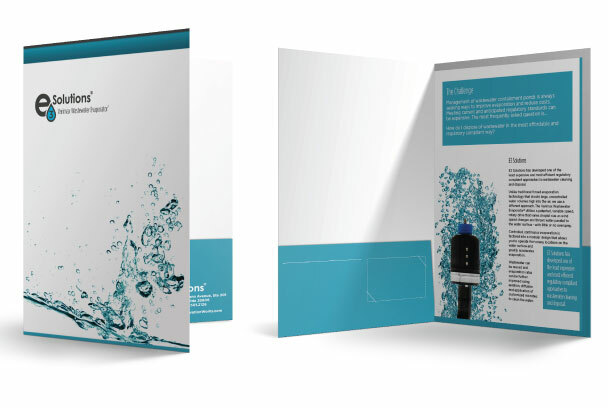 Client wanted a folder and brochure combo kit to resemble the new look of the company (and match the newly designed website). 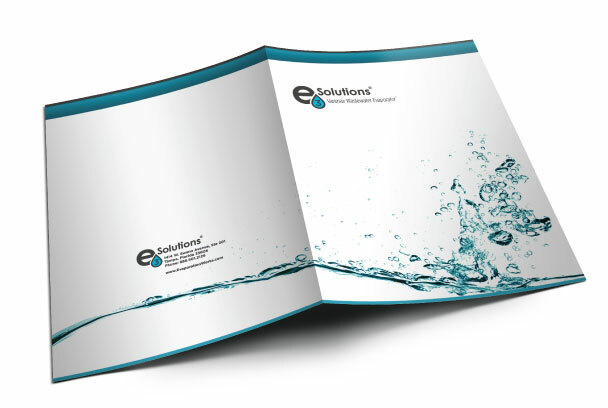 Brochure insert is stapled in the center and has two pockets on the inside for tri-fold brochure and business card. Designed under contract with Environmental PR Group.